The Midas Blenny makes a great addition to a reef aquarium. 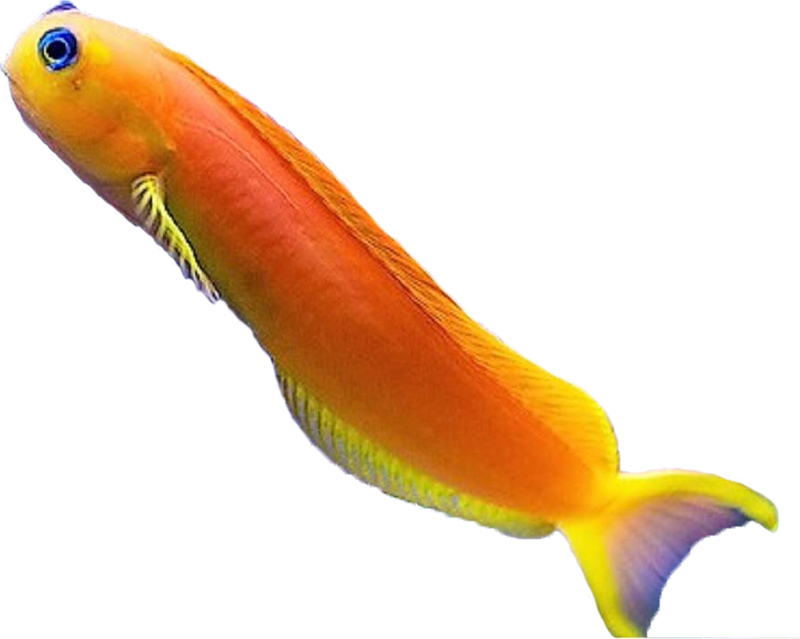 It has a deep yellow almost golden color with bright blue accents around the fins and eyes. To be successful with the Midas Blenny requires an established 30 gallon or larger aquarium with plenty of live rock and a sandy substrate. The Midas Blenny is considered a jumper, so a good lid would also be needed. The Midas Blenny is an Omnivore and needs to be fed a varied diet including both meaty foods as well as spirulina or other herbivorous foods.